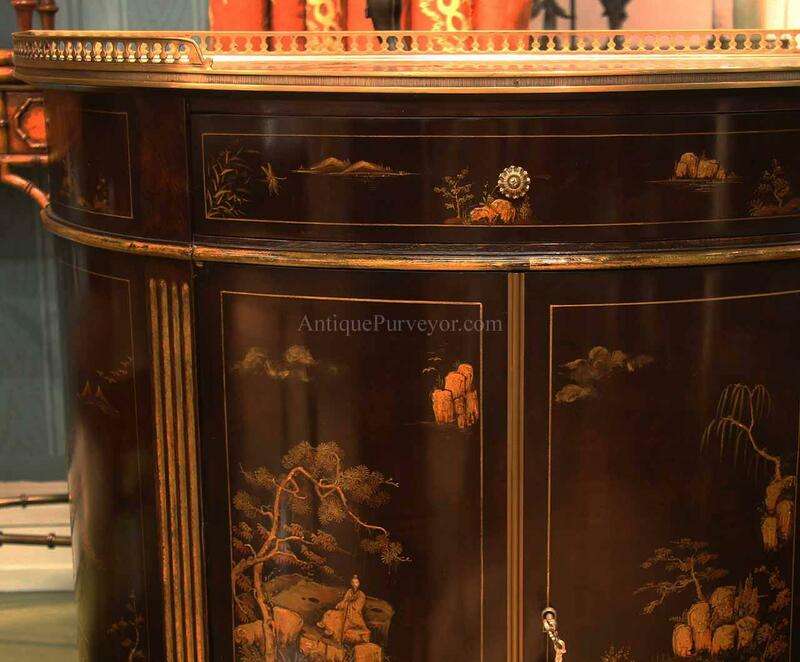 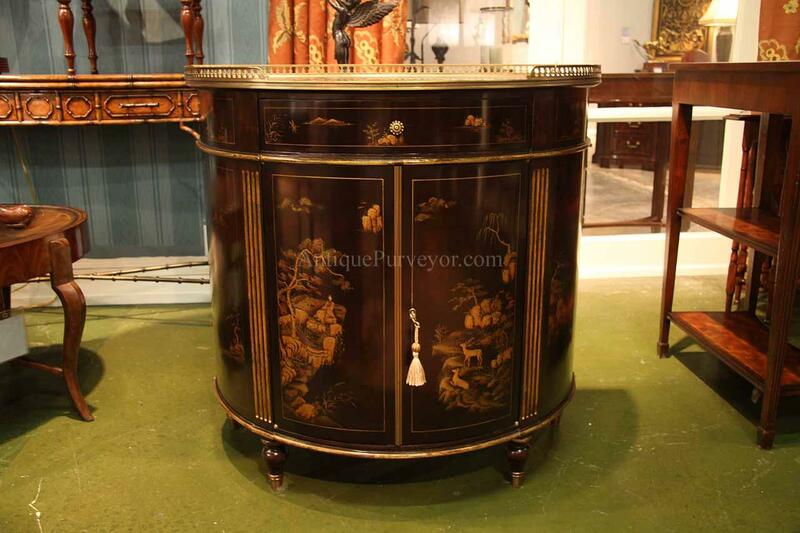 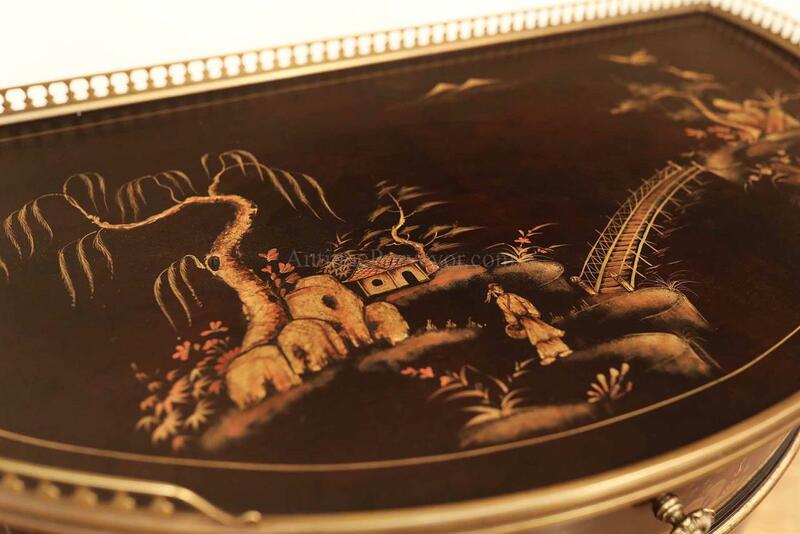 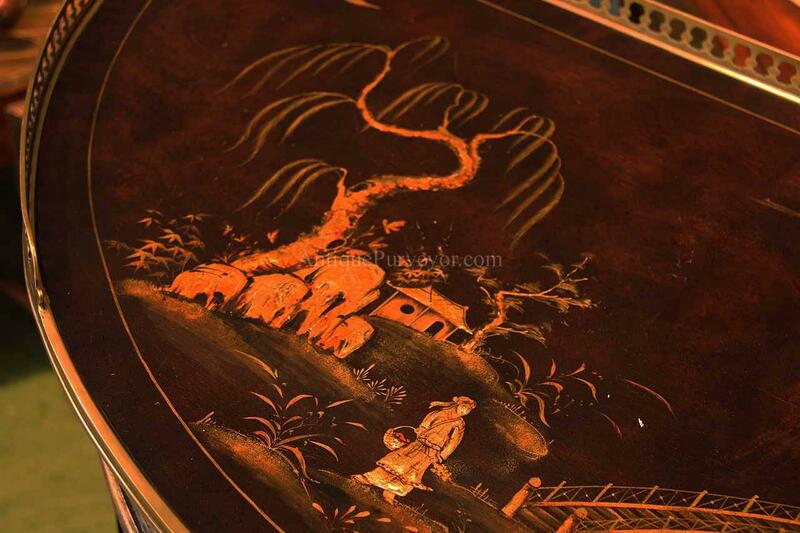 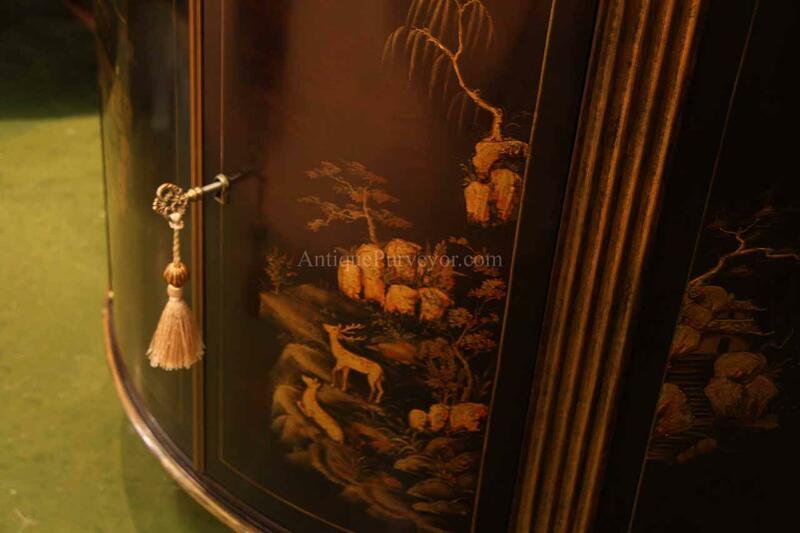 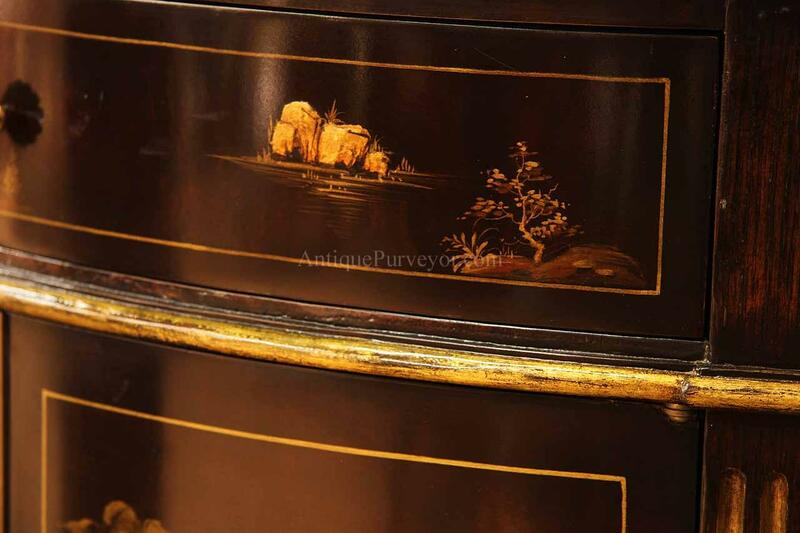 Description: Ebonised Chinoiserie demilune with two bow front doors. 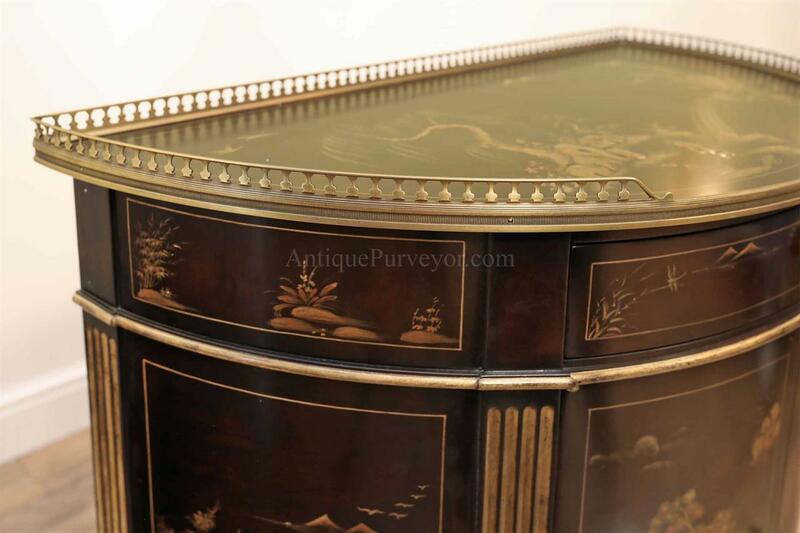 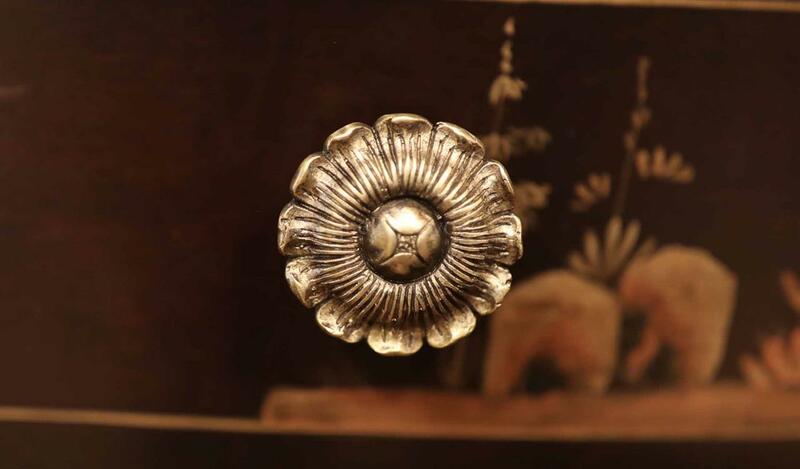 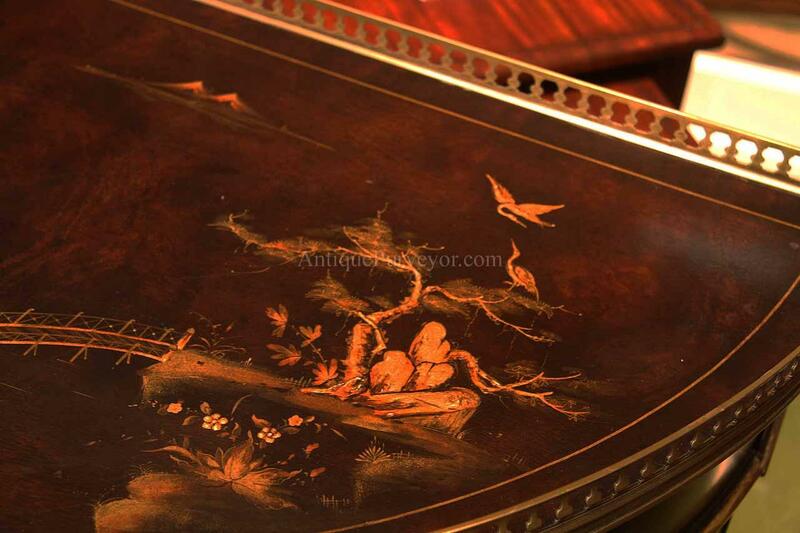 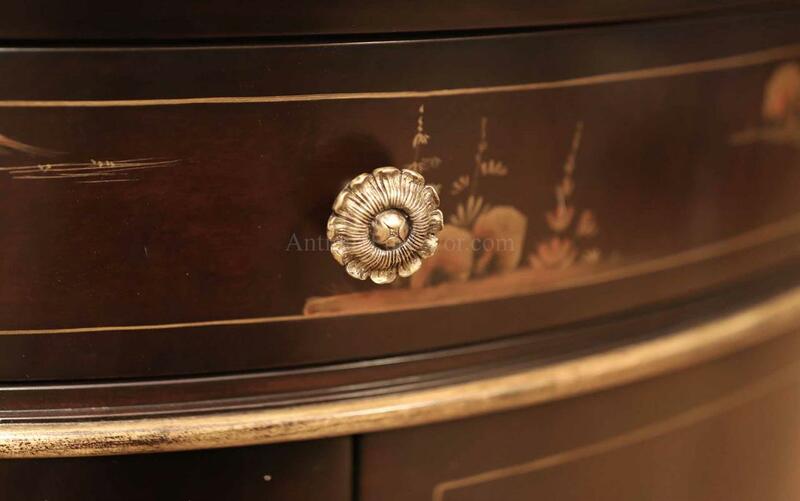 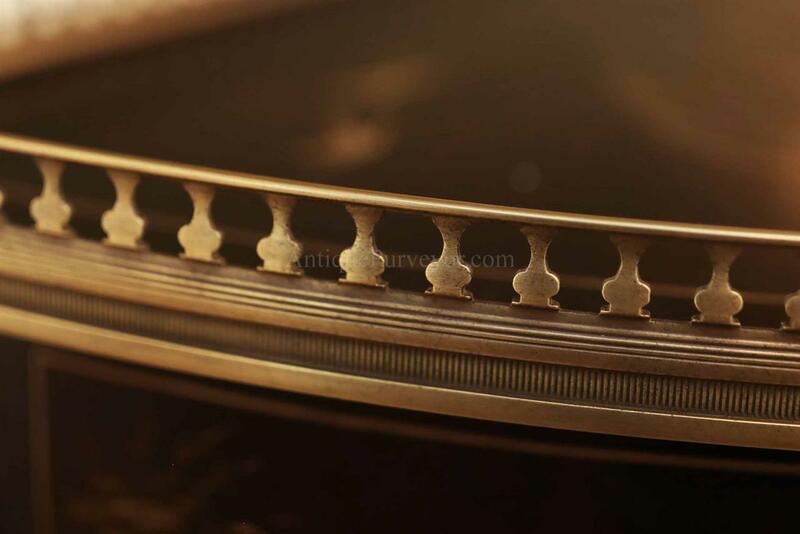 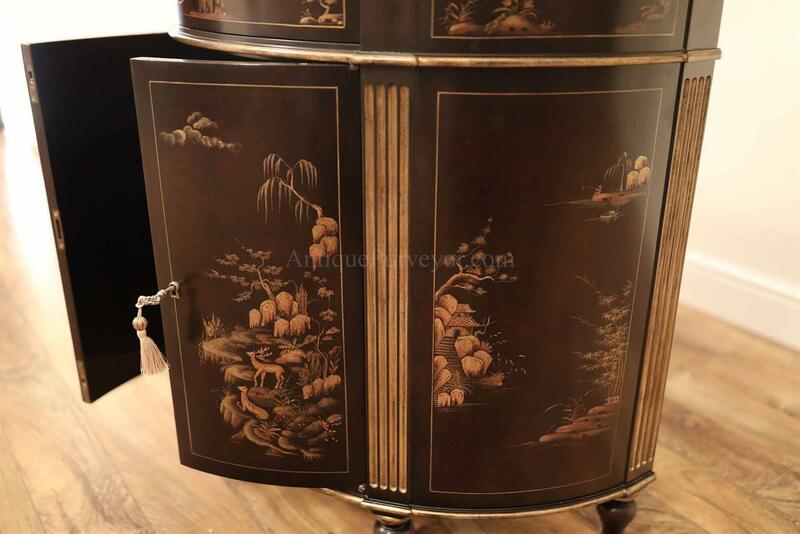 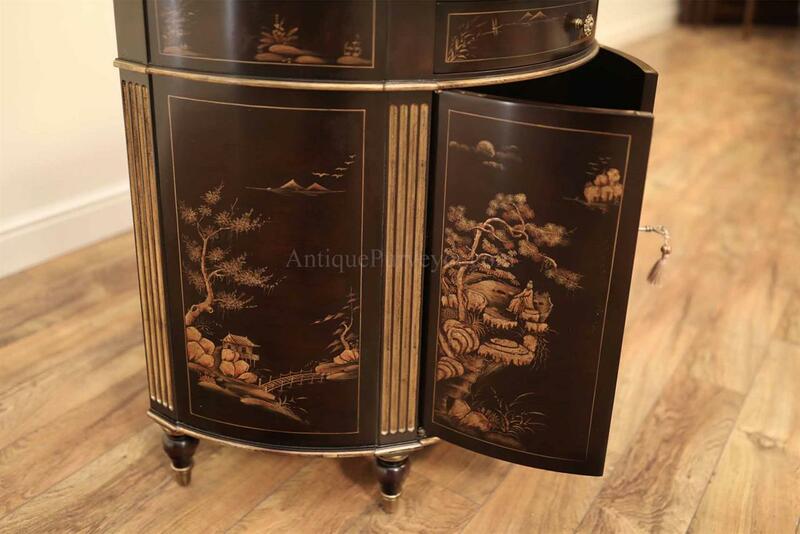 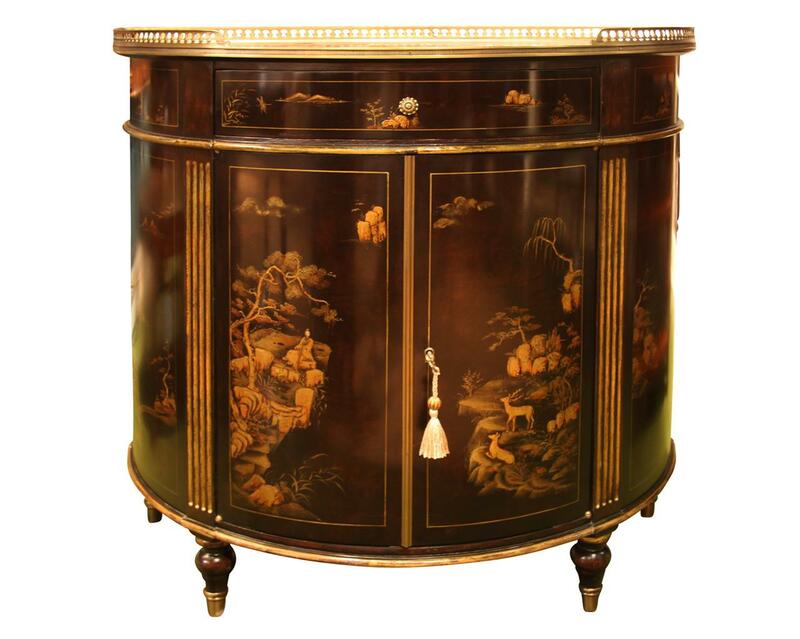 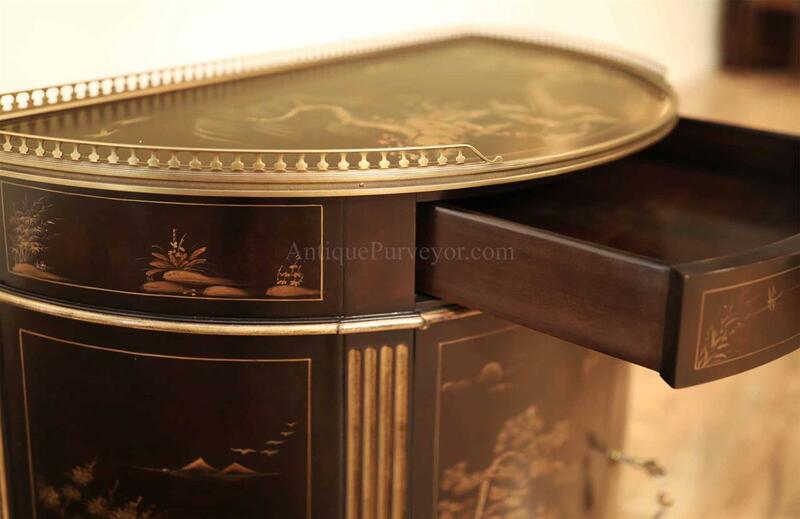 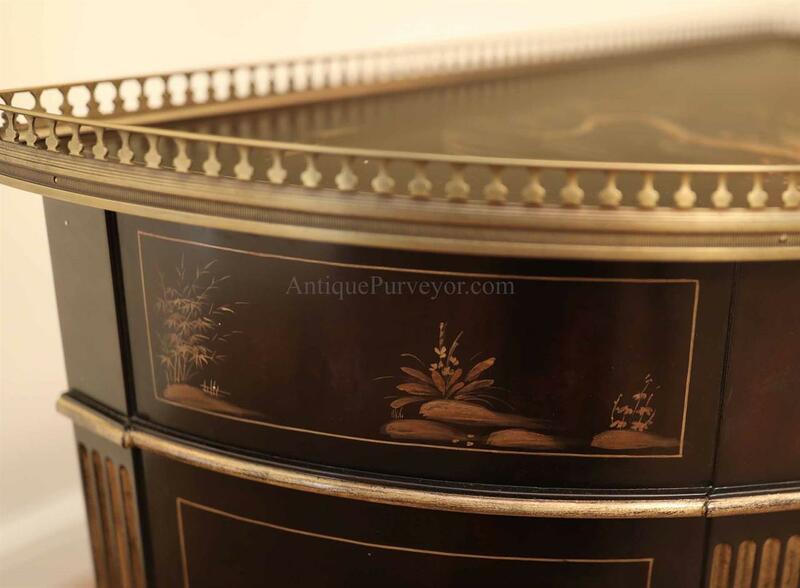 Fluted legs, brass galleried top and all handpainted oriental details. 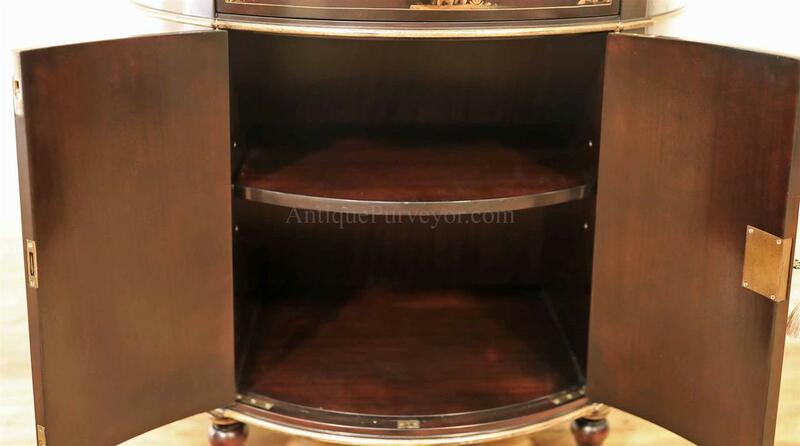 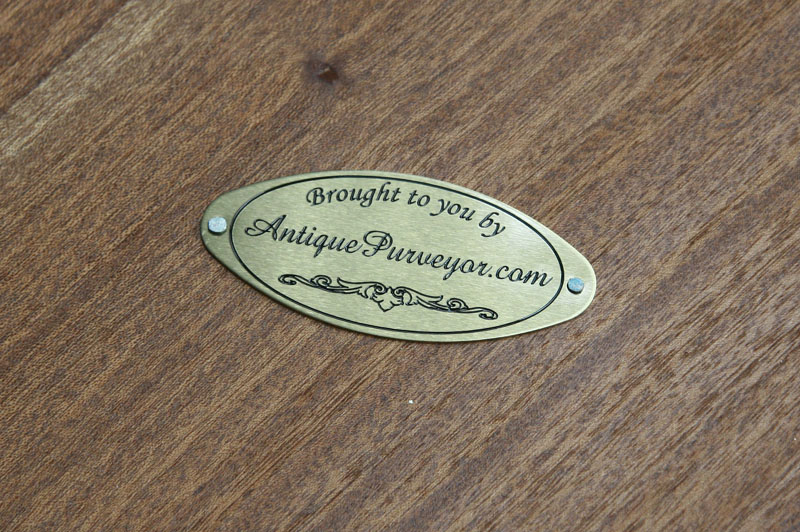 Solid and dense high end antique style corner cabinet for a foyer or dining room. 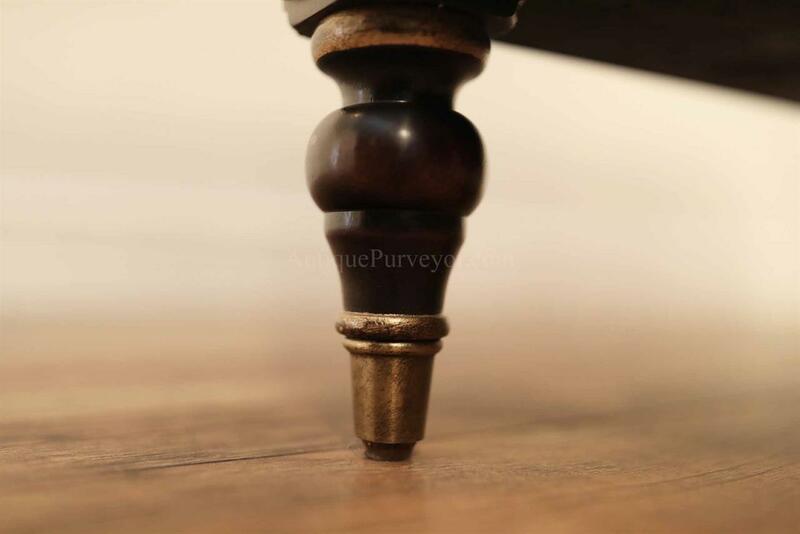 Adjustable shelf.. 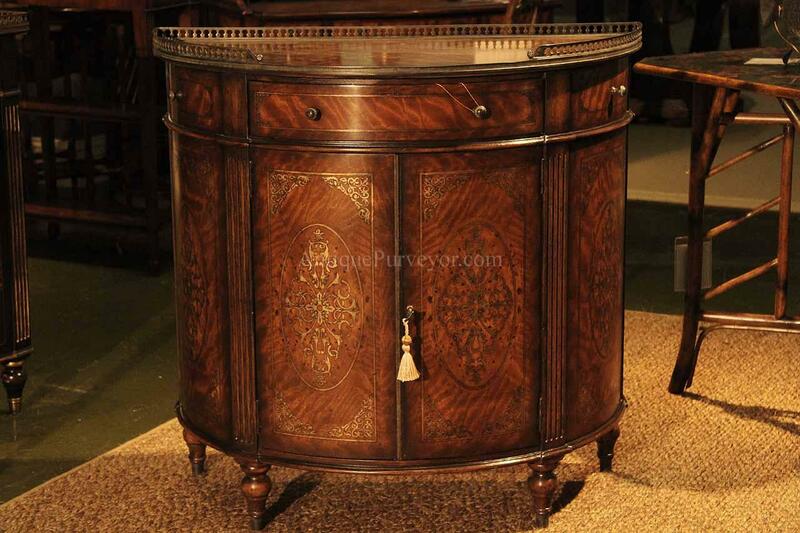 This cabinet is also available in an oak Adams style antique reproduction as well. 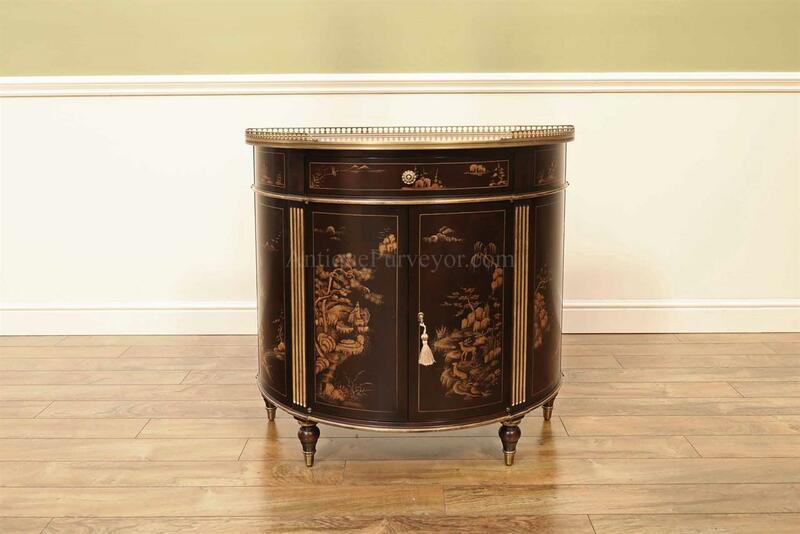 We show one picture of this traditional accent cabinet in our picture gallery.